Brand: Americolor Corporation ACR-GW10 Units: 1 set/ 10 pens total Gourmet Writer™ pens add vibrant color to any dry and firm food surface. Gourmet Writer™ pens can be used directly on royal icing, marzipan, donuts, bagels, gum paste, fruit and vegetables, rice paper, hard-boiled eggs, crusted buttercream, and more. They are perfect for stenciling, stamping or free hand detailing. Gourmet Writer™ pens draw fine, medium or broad lines, depending on the angle the pen is held. 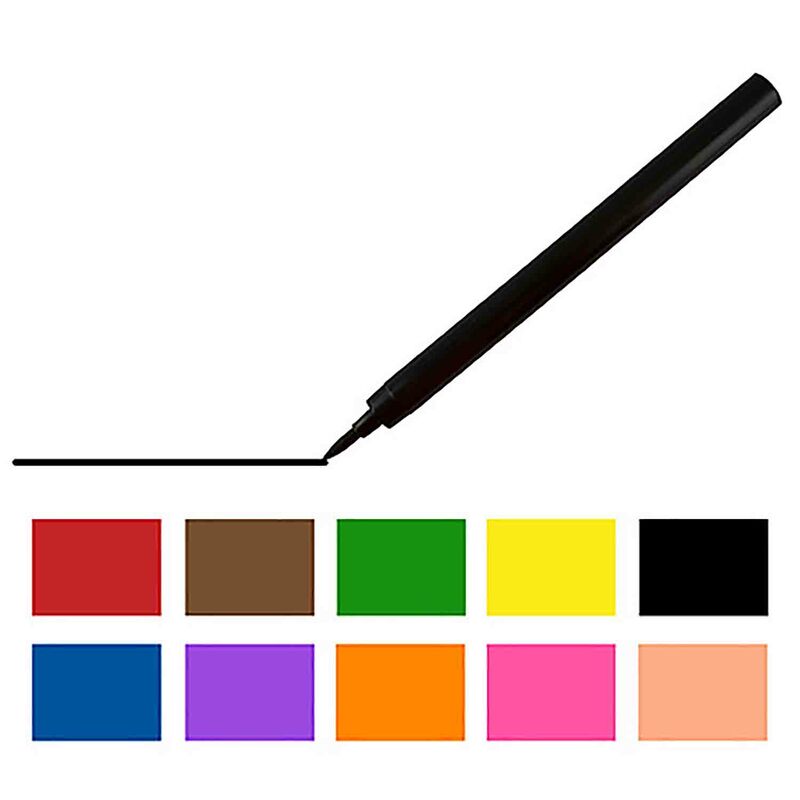 Set of ten color pens: purple, blue, green, yellow, orange, fleshtone, pink, red, brown, and black. Gourmet Writer™ pens add vibrant color to any dry and firm food surface. Gourmet Writer™ pens can be used directly on royal icing, marzipan, donuts, bagels, gum paste, fruit and vegetables, rice paper, hard-boiled eggs, crusted buttercream, and more. They are perfect for stenciling, stamping or free hand detailing. Gourmet Writer™ pens draw fine, medium or broad lines, depending on the angle the pen is held. Set of ten color pens: purple, blue, green, yellow, orange, fleshtone, pink, red, brown, and black. Ingredients: Water, Propylene Glycol, FD and C Red 3, FD and C Red 40, FD and C Blue 2, FD and C Yellow 5, FD and C Yellow 6, Citric Acid, Less than 1/10th of 1% Sodium Benzoate, Potassium Sorbate as a Preservative.